I am a big fan of celebrating marriages. More specifically through anniversary sessions. While it may seem like something that isn't important or something you just don't have time for, make time for it. It is so easy to get in the routine of life and forget that you have actually changed and grown. And that this person beside you is there to hold your hand along the way. Charlotte was a sorority sister of mine at Clemson! She emailed me about taking anniversary photos for her and Kevin. I love that even though technically these were taken about 1.5 years into marriage, it didn't matter! She graduated from law school and they had just moved to Atlanta. Lots of life changes and exciting things going on that they wanted to document and celebrate. Take the time to capture moments, even if you are 6 months late (or 6 months early for year 2...just depends how you look at it). One day, your kids will love looking back at how young and in love mom and dad were (and still are). Happy Anniversary to the reason I exist, the best parents, Nance and Chuckles, Mama and Papa Rud. 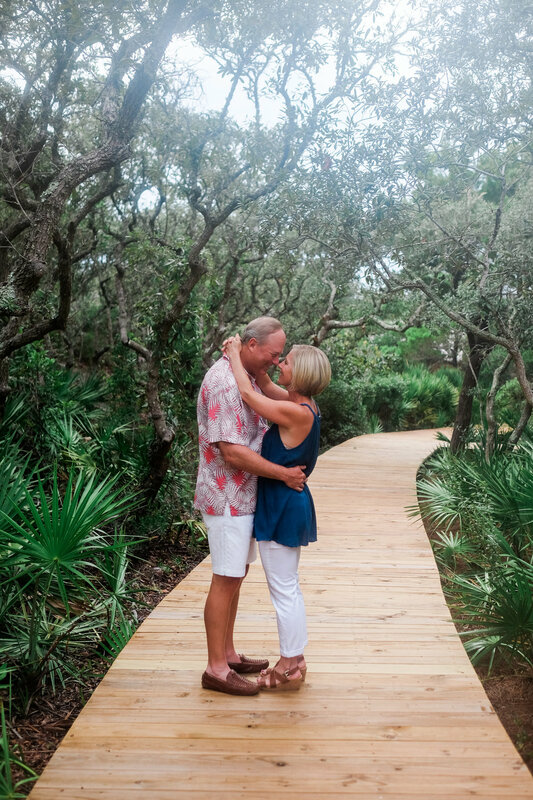 While we were down at the beach, I offered to do a little anniversary session for my parents. Sure am glad they agreed! Who would have thought that after years and years of saying ewwwww when they kissed, that I'd be instructing them to do just that. It was nice to give my mom (who was always the one behind the camera) a chance to be in front of it. 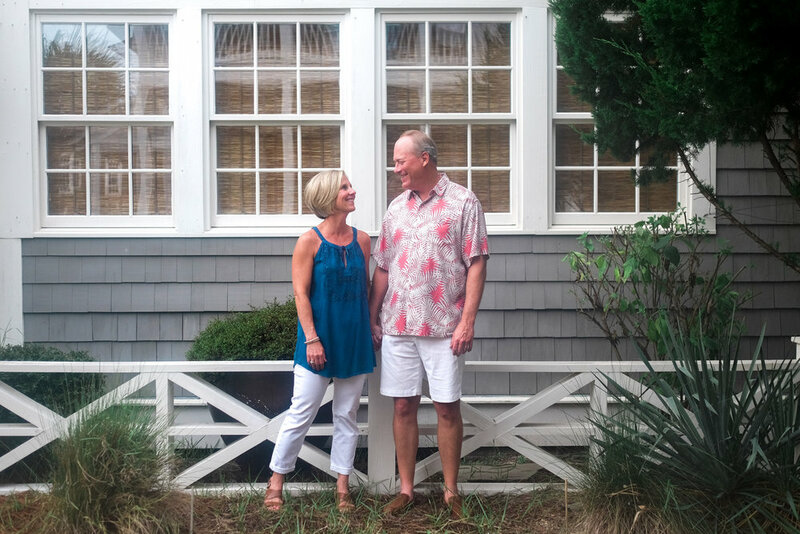 Afterwards, we realized that aside from one of those awkward photoshoots on a cruise, this was the first time they'd had their pictures taken since their wedding 30 years ago. Now that's an honor.